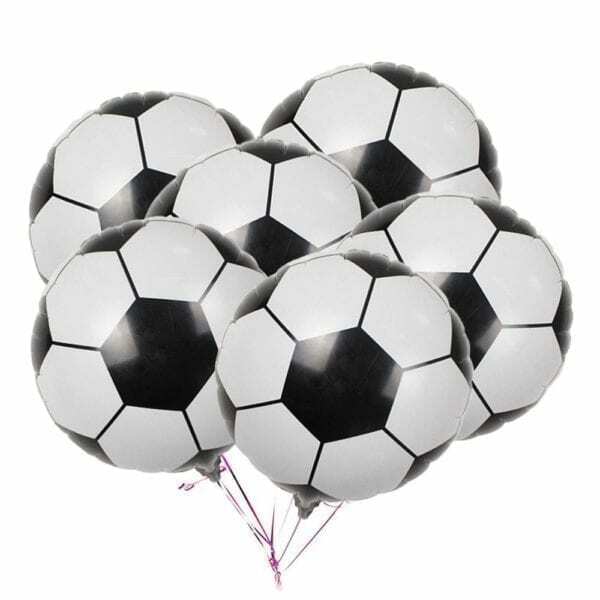 These foil balloons have a printed soccer ball graphic that’s sure to look great at your child’s soccer birthday party. Helium-filled to inflate these soccer ball balloons, then set them out on display for all your guests to see. They’re fun to tie to furniture, or you can gather them together on a balloon weight to make an awesome balloon bouquet. – Size: Approx. 45 x 45 cm. – Easy and convenient to inflate and deflate. – Pinch the inflation inlet flat after inflation being completed. 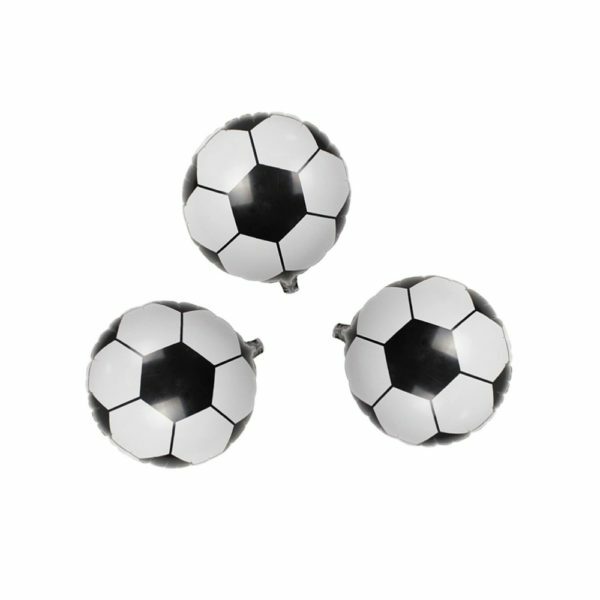 The air outlet will be automatically sealed self-adhesive had self adhesive glue of the balloons inlets. – Nica e decoration for birthday party and wedding anniversary. Add more happy atmosphere to your gatherings.